October | 2014 | Home Wise! Family Smart! Everyone benefits when we volunteer! Radio Time! Problems & Solutions Thursday, Oct 30! On Thursday, October 30, 2014 from 9:10 a.m. – 10 a.m. CT, I’ll be a guest on Cathy Blythe’s award winning radio show, Problems and Solutions, on KFOR 1240AM. We’ll be talking about insect and wildlife pests commonly found in southeast Nebraska in a segment called, “What’s Bugging You?” The show airs in several different states so we work hard to make it interesting and educational for everyone! Last month, we even ran out of time! There were so many great questions from listeners who called in or sent in email questions! Certainly keeps me hopping and I love it! Dribbles & Piddles: Cleaning Up After Mice! Yesterday I talked about keeping mice out and trapping…. today it is all about the how, what and why of clean up! Mouse in the House? No Thanks! This is the time of year when mice make their way into homes. It’s a little creepy to think about, but right now mice may be circling your home, garage or business sensing places where warm air leaks from the building. Once a source of warmth is found, mice will try to make their way into the structure. Did you know mice can squeeze through openings that are 1/4″ or larger? That’s a hole or crack as big as a dime – anything you can poke a pencil through! House mice are significant pests. They consume and contaminate food meant for humans, livestock and other animals. They damage structures and can carry transmit several diseases. Mouse urine may also trigger asthma in some people. Once inside, mice will go towards where they will be warmest. This explains why people have problems with mice living around refrigerators, freezers, dishwashers, ovens, water heaters, even attics and furnaces. November/December NEBLINE Newsletter is on-line… it’s Free! The November/December issue of The NEBLINE newsletter is now on-line. Timely articles for you and your family! Below I’ve listed some of the articles featured in the free on-line November/December issue. Visit http://lancaster.unl.edu/nebline and click on the link to the November/December 2014 NEBLINE! How often should my furnace filter be changed? 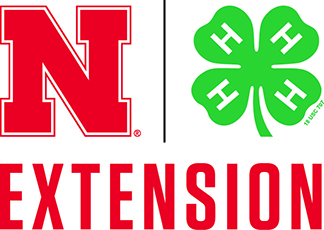 If you don’t live in Lancaster County, Nebraska, please make sure to check out your local extension office too. Your extension office has resources for you, your family and community. To find your local office, visit http://lancaster.unl.edu/office/locate.shtml (nationwide listing).